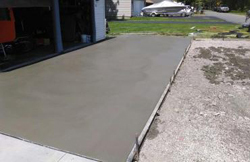 Since 1995, we’ve been the concrete contractor of choice for residential and commercial customers in and around Niagara Falls, NY. Owner Eric started the business more than a decade ago by himself, and he now has 18 employees. We are contracted with National Grid and National Fuel, and can be counted on for all kinds of outdoor projects, big or small. 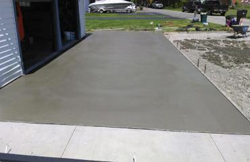 If you live in Alleghany, Steuben, Erie, or Niagara County and need a concrete driveway installed, demolition work, or landscaping, look no further. We are ready to serve you and your property. Hapeman Services Incorporated can help with your concrete, construction, or landscaping project from concept to completion. We do what we can to improve your curb appeal at home or work by providing unmatched quality and services. We even offer free estimates and custom jobs, and we proudly use economically-friendly products. 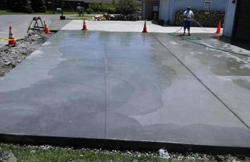 Concrete: We can design and build a beautiful concrete driveway, stamped concrete patio, walkway, or anything else you desire. We can build a large outdoor patio at your restaurant where patrons can dine outside, or we can create an attractive driveway at home where the kids can ride their bikes or play basketball. Demolition: Our demolition services for residential and commercial customers include concrete foundation removal, patio and slab removal, and more. Landscaping: Boost your property’s value and curb appeal by sprucing up your landscape with new trees, plants, and flowers. Add a retaining wall, a concrete walkway, or any other kind of landscape feature that will make your home stand out from the rest on your street. Call us today for concrete, landscaping, paving, demolition, and other contracting services you need. We have more than two decades of experience to show you what we can do. Take the first step towards your project, and dial our number!